Collins Booksellers - 100 Cases in Obstetrics and Gynaecology, Second Edition by Bottomley, Cecilia, 9781444174267. Buy this book online. 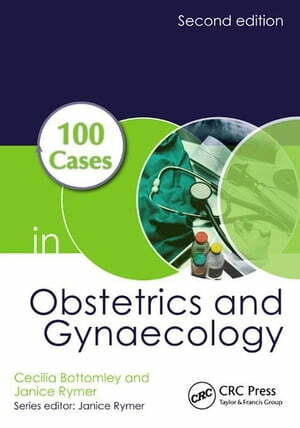 100 Cases in Obstetrics and Gynaecology presents 100 obstetric- or gynaecology-related scenarios commonly seen by medical students and junior doctors in the emergency department, outpatient clinic, or on the ward. A succinct summary of the patient's history, examination, and initial investigations-including photographs where relevant-is followed by questions on the diagnosis and management of each case. The answer includes a detailed discussion on each topic, with further illustration where appropriate, providing an essential revision aid as well as a practical guide for students and junior doctors.